It’s the season to be thankful for our family, friends, and intangible gifts. It’s the season to give back and pay it forward, if you are able. There are plenty of people who need a dose of love; shelter, food, friendship. 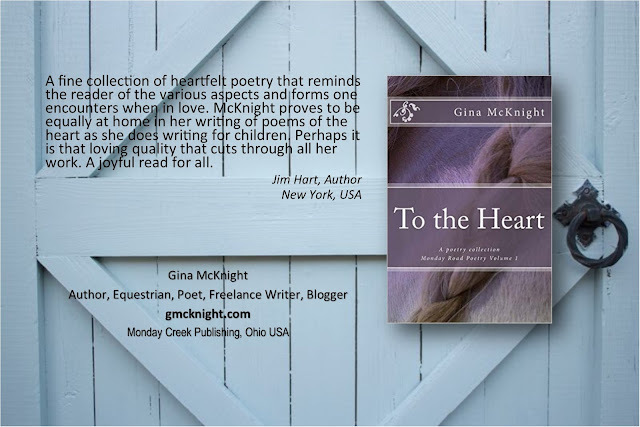 To the Heart: Monday Road Poetry Volume 1 by Gina McKnight is a collection of well-written, heartfelt poetry written from a heart that understands the art of poetry. I've read many books on poetry. To be honest, poetry is my first love. So I get excited when I read poetry by someone who understands the rhythmic art that comes in the craft. The author is no stranger to poetry and it's evident throughout the book. The creation is warm and endearing. Some of the writings make you think and reflect. The style is unique. 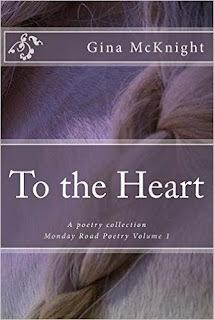 I gazed at the poems before reading and simply smiled to see the structure of each poem. I can tell the author didn't just throw some words together in hopes of passing it off as great poetry. I'm also aware the poetry is subjective because it's written from the mind of the writer. But should it be that complicated? No, it shouldn't. I believe poetry can be complex and appreciative. The author encompasses both in this book. Each word and beat is designed in completion, complementing one another. Poems should be read in one breath. The author has accomplished this as well, which makes this book of poetry stand alone. If you're looking for a book that flows poetically, this is your book. I would recommend this to poetry lovers. They will be more than impressed. I read some of the lines more than once because their creation whispers softly to me. Poetry should go beyond the eye, into the heart, and expand within the body. This book performs that feat easily. 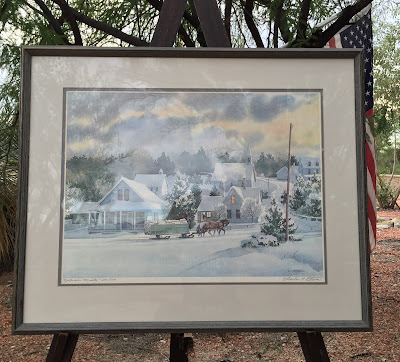 Last week my friend Sue returned from a shopping trip to the artsy community of Sedona, Arizona. When I met with her a few days ago, she surprised me with a gift of Tom Van Dyke’s autographed A Cowboy Christmas. Of course, I was thrilled, and spent the rest of the afternoon reading Van Dyke’s book. 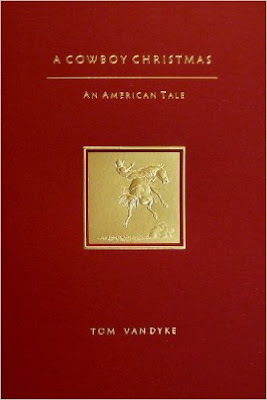 If you are looking for a Christmas gift for the cowboy/cowgirl on your shopping list, I recommend Van Dyke’s book! It’s a witty tale of courage, wisdom, and romance. WB, the main character, is everything a cowboy should be – adventurous, sometimes crazy, always helpful, charismatic, and a horseman. Living in 1839 was tough, and Van Dyke doesn’t hold back, he takes you back in time to the true West. INSPIRING! A Cowboy Christmas An American Tale reveals the true American West but goes even further. A man and woman who refuse to let a soaring relationship disappear is a sign of life on earth at its best. -- MICHAEL BLAKE, Author of Dances With Wolves. A Cowboy Christmas An American Tale now celebrating its expanded fifth edition has galloped into the hearts and minds of readers, men and women of all ages, in a magical story that crisscrosses the expansion of the Western frontier and collides with destiny. Embracing a cowboy's flavorful soup of words and expressions, WB tells his story with cowboy wit and humor. A tale about cowboys, generous with their lives, who burn themselves like candles for experiences worth living, and values that created strength and revealed character. Not yet sixteen in 1873 with hopes and dreams, WB crosses the Mississippi and without fear leaves the muddy shores of civilization behind. With empty pockets, a spark for life, and a wild sense of freedom, he follows his heart searching for adventure and fortune and discovers the romance. IT'S GOOD AND IT MOVES! 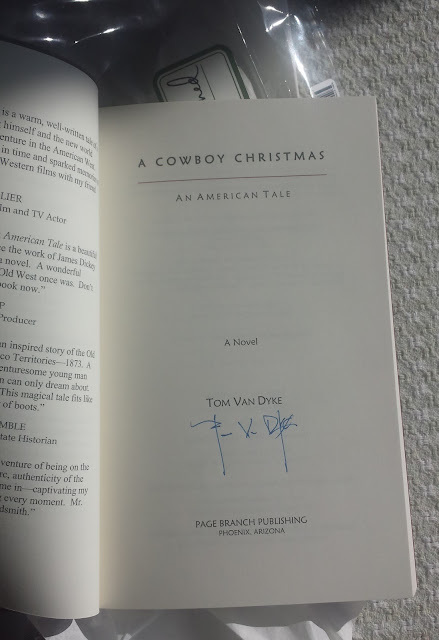 Tom Van Dyke tells a rousing tale of a young man learning how to cowboy and finding the girl of his dreams. I've written a good 40 western stories but learned a lot from Tom's book. 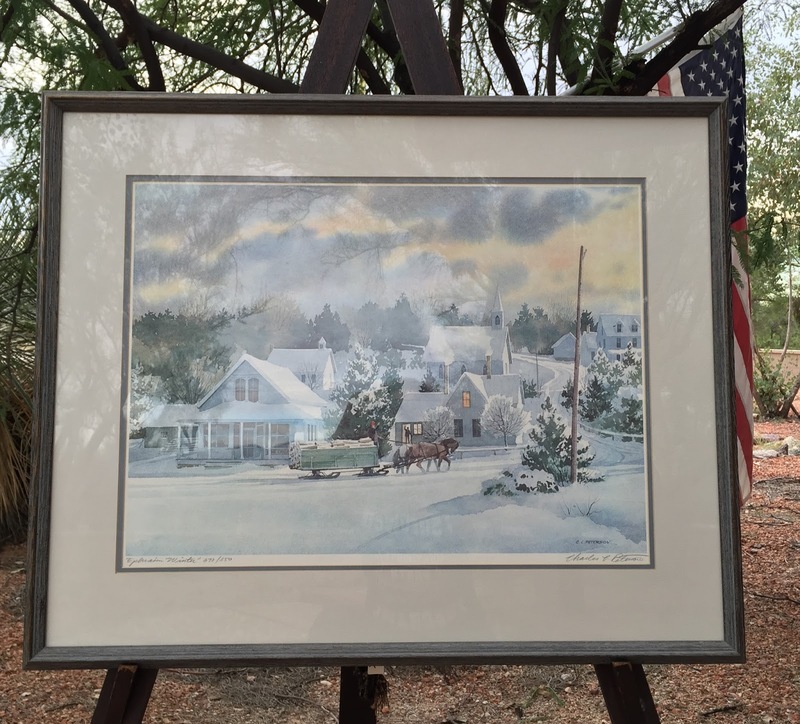 Tom Van Dyke has crafted an inspired story of the Old West, Arizona and New Mexico Territories in 1873. A well-researched tale of an adventuresome young man carving out a life that most men can only dream about. Hold on tight. It's a fast ride. This magical tale fits like a vintage Stetson and a good pair of boots. --Marshall Trimble, Official Arizona State Historian. --THOMAS COBB, Author of Crazy Heart. TOM VAN DYKE lives with his wife on their ranch in Cave Creek, Arizona. Tom is a nationally recognized film producer/director and award-winning screenwriter. One of his motion pictures was considered for nomination of an Academy Award®. Tom created and wrote the American Bicentennial television public service announcements, Stand Up and Be Counted, featuring John Denver, the most widely viewed national and international PSAs in the history of television. His creative expression of writing and film production is shared with his creation of fine art. Tom's sculptures, paintings and photography have been exhibited or are in the permanent collections of the NY Museum of Modern Art, the Carnegie Art Institute, the Buffalo Bill Historical Center, the Detroit Institute of Arts, the Henry Ford Museum, the Cranbrook Academy of Arts, and the Butler Institute of American Art. In a time not now and in a world not of our own... Kerys of Ansgar is a young woman with a lot on her mind. She's in her last year of studies at University, and it's exam preparation week. She's VERY concerned about where she'll go and what she'll do, once she's finished at school. Just ask her roommates, Emilia and Ronny; or her Uncle John and Aunt Johanna, who raised her after she was orphaned as a child. But one thing that is definitely NOT on her mind is spending this week at the Royal Palace along with three other young women of ducal rank, being introduced to the new King of Kimbria, and competing for his hand in marriage. She enjoys riding her tall mare at a fast pace, and she's a good sprinter; but this is one race she has no interest in running. No. Let it go to one of the others. The last thing she wants to do this week is to marry a stranger and become the Queen Consort of Kimbria. This novella is related to the third part of the Windflower Saga trilogy, "Far Haven: A Quest for Certitude. A Fight for Justice." which follows the lives and adventures of some of the members of the Ansgar family of Kimbria. 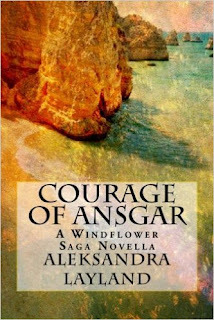 The Windflower Saga series is comprised of the following volumes which trace the lives of members of the fictional Ansgar ducal family against a background of struggles between forces such as good and evil, love and hate, and war and peace. The series is a unique blending of traditional love stories and adventure and action stories in an "other world" setting, with serious spiritual and moral themes which are addressed in an overall uplifting tone. For all that the characters may face harsh realities, the story of the Ansgar family is a happy one. When I was in my early 30s, my husband and I moved from Houston to North Carolina to be closer to my parents. We brought my horse Crimson with us. We were looking forward to building a barn for Crimson and starting a family. I couldn’t wait to share our farm and our future children with my parents. Crimson, a Quarter Horse/Thoroughbred cross, was a grandson of Secretariat. Like his grandfather, he was an elegant chestnut. I had taught him to jump and showed him in the Hunter/Jumper ring. He was hard to beat. But Crimson was more than an equine athlete. He had a heart of gold. He was the kindest horse I’ve ever known. I could put anyone on him from an inexperienced child to an elderly adult and he would take care of them. So it shouldn’t have surprised me that Crimson was the horse who carried me through a confluence of heartbreaking events. At the age of 33, I had my first miscarriage at the same time my mother began showing signs of Alzheimer’s disease. Over the next several years, I had more miscarriages and my mother spiraled deeper into her illness. 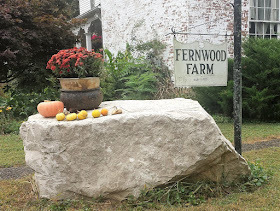 I was thrust into the role of caretaker, while I yearned to be a mother. Through this time, Crimson was my anchor. I traveled back and forth across the state to help care for my mother. Each time I returned home, I looked forward to spending time with Crimson. He provided a sense of sanctuary for me, a safe place where I could grieve. Gazing at the grazing horses in our pasture gave me a sense of peace in a world that had gone awry. Some days, when my grief was particularly raw, I could do nothing more than rest my head against Crimson’s sturdy neck. He would stand like a statue absorbing my sorrow. As a lover of books and writing, I searched the internet for memoirs that shared personal experiences of infertility and/or Alzheimer’s and found very little. 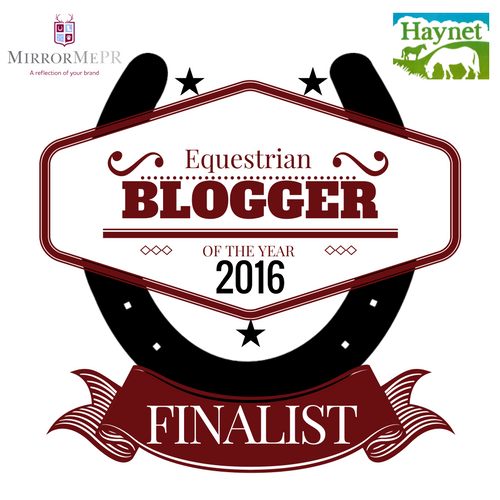 With my own background as a newspaper and magazine journalist, I was determined to change that. I wanted to write the book that I had needed to read – a book that shared the story of what happens when your life shifts unexpectedly and your dreams fall apart. But I didn’t want to stop there. 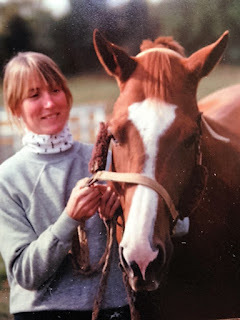 I wanted to honor Crimson’s memory and share the story of how our special connection carried me through some of the hardest days of my life. I hope that Motherhood: Lost and Found will provide inspiration and comfort for those whose hearts have been bruised by the circumstances of life. And, as Crimson did for me, may the spirit of horses deliver unexpected joy in the broken places. Ann Campanella is the author of Motherhood: Lost and Found, an award-winning memoir that tells the story of her mother’s descent into Alzheimer’s at the same time Ann was trying to become a mother. Formerly a magazine and newspaper journalist, Ann’s writing has been widely published. 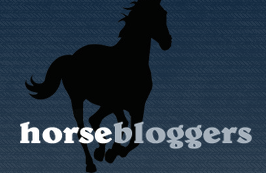 She blogs at Fields of Grace, a blog that documents the return of horses into her life. She lives on a small horse farm in North Carolina. Recycling is important and our duty! Learn what’s new in the world of recycling, and learn how to make trash into something cool (I love to crochet!) - bagsbegone.com offers a unique idea to helping the plant. 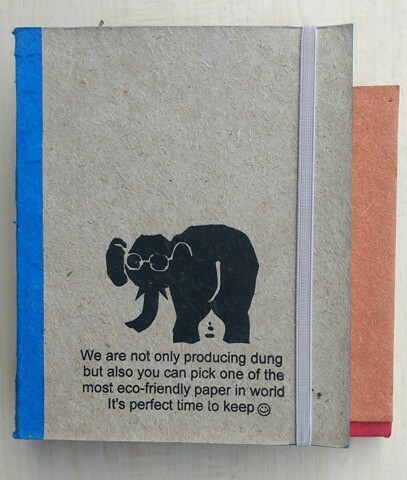 Beautiful, sustainable paper products made of 75% elephant poo, 25% textile waste! 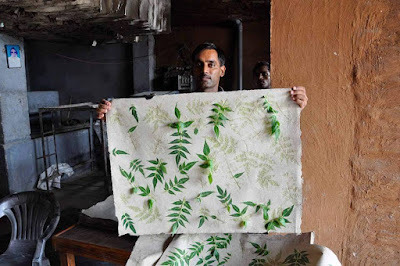 Learn plastic bag crochet and meet people doing interesting things with recycled waste, including the process of extracting fibrous material from elephant poo and transforming it into beautiful sheets of paper, which is made into notebooks and other products. It's so neat! 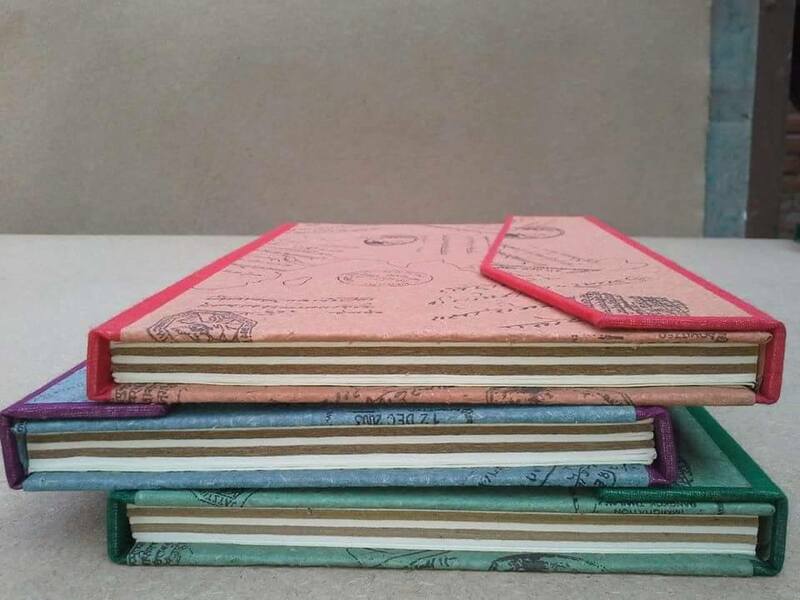 These recycled products make unique gifts and you’d be helping an eco-friendly innovator grow his business. 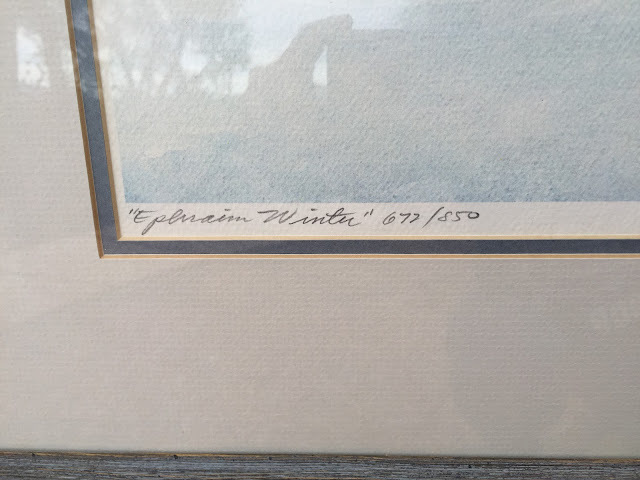 As a riding instructor in Malibu, California, and Tucson, Arizona, I have a couple pieces of horse art I would like to sell to raise money for my rescued horses and for my new non-profit Equine Legal Defense Fund. This is a gorgeous piece that has amazingly accurate detail and feel. I love this piece! 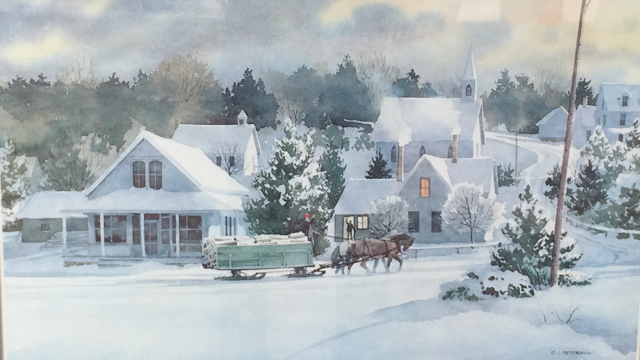 I have horses and know that this is a very true to life moment the artist captured in his hometown of Ephraim, Wisconsin, USA. I hope it finds a loving home with someone who will enjoy it as much as I have. 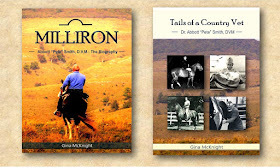 This is a great gift for the holidays for someone who loves horses as it is nostalgic for us who love a simpler time. These horses are working hard. This is such a beautiful depiction of horses working with people to make a better life. This print is listed by a gallery on Ebay for close to $2k! For this sale, I am offering the print for $1K, or best offer. Contact me if you are interested in this amazing print! A renowned, accomplished artist, Charles Peterson, an Ephraim, Wisconsin resident since the ‘70s, continues to enjoy a successful career. He paints a wide range of subjects, from landscapes to nautical themes to his unique “Memories” paintings – paintings that depict translucent, ghost-like individuals of the past against the backdrop of an aged setting, such as an overturned rowboat or a run-down cheese factory. 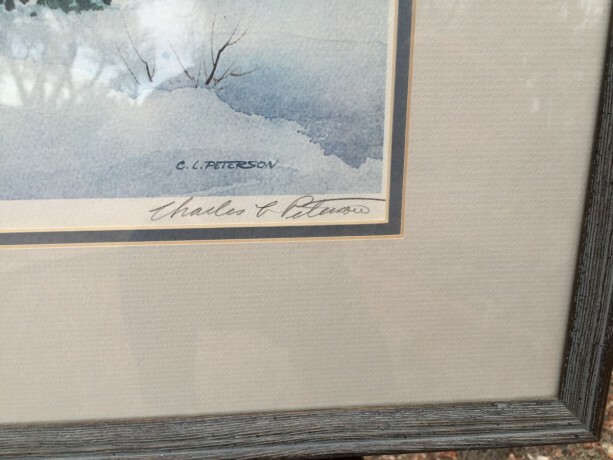 He has been honored with a series of awards, for his artwork as well as his long career as a Professor and Department Head at Marietta College, but one would hardly guess the immense prestige Peterson has; he is so humble. Available in Kindle, Hardcover, MP3CD, and Audible here! After President Woodrow Wilson suffered a paralyzing stroke in the fall of 1919, his wife, First Lady Edith Wilson, began to handle the day-to-day responsibilities of the Executive Office. Mrs. Wilson had had little formal education and had only been married to President Wilson for four years; yet, in the tenuous peace following the end of World War I, Mrs. Wilson dedicated herself to managing the office of the President, reading all correspondence intended for her bedridden husband. Though her Oval Office authority was acknowledged in Washington, D.C. circles at the time--one senator called her "the Presidentress who had fulfilled the dream of suffragettes by changing her title from First Lady to Acting First Man"--her legacy as "First Woman President" is now largely forgotten. William Hazelgrove's Madam President is a vivid, engaging portrait of the woman who became the acting President of the United States in 1919, months before women officially won the right to vote. Movie Rights Optioned by Storyline Entertainment. A Selection of the History Book Club, Military Book Club, and Conservative Book Club. With the possibility of our First Woman President on the horizon, it is amazing to think that Edith Wilson ruled the White House almost a hundred years ago. Taking over from her ailing husband she had only two years of schooling and had been married to Woodrow Wilson for four years when she found the reins of power in her lap. Edith Wilson had to finish up the negotiations for the end of World War I while keeping her husband alive as suffragettes protested outside the White House for the vote. This riveting story of a very unique woman who ran the country for almost two years can finally be told on the eve of another possible woman in the White House. 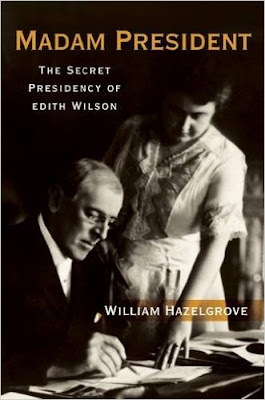 Edith Wilson can teach us a lot about a potential Hillary Clinton presidency as she governed with a sick husband at her back and a country recovering from World War I.
off--and do it for two years. Incredible. 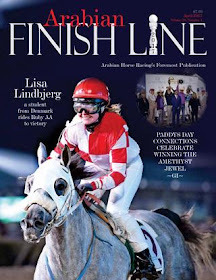 A great read--and ride!" William Elliott Hazelgrove is the best-selling author of ten novels and three works of nonfiction. 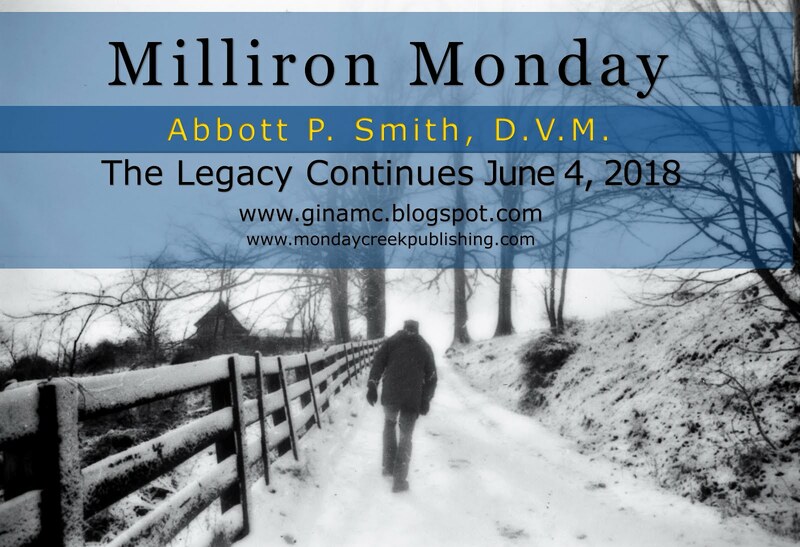 Ripples, Tobacco Sticks, Mica Highways, Rocket Man, The Pitcher, Real Santa, Jackpine, My Best Year, The Bad Author, The Pitcher 2, Madam President The Secret Presidency of Edith Wilson, Forging a President, How the Wild West Created Teddy Roosevelt, and Gangsters and Nymphs. Hazelgrove's books have received starred reviews in Publisher Weekly and Booklist, Book of the Month Selections, Literary Guild Selections, History Book Club Selections, Junior Library Guild Selections, ALA Editor’s Choice Awards and optioned for the movies. He was the Ernest Hemingway Writer in Residence where he wrote in the attic of Ernest Hemingway's birthplace. 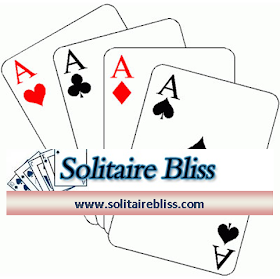 He has written articles and reviews for USA Today and other publications. He has been the subject of interviews in NPR's All Things Considered along with features in The New York Times, LA Times, Chicago Tribune, Chicago Sun Times, Richmond Times Dispatch, USA Today, People, Channel 11, NBC, WBEZ, WGN. 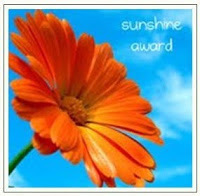 The Pitcher is a Junior Library Guild Selection and was chosen Book of the Year by Books and Authors. Ken Smith knows saddles. 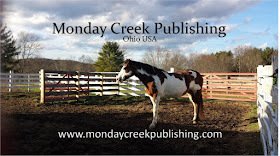 The proprietor of East West Saddle Shop on Keirns Road, Athens, Ohio, Ken is a seasoned equestrian, saddle maker, wrangler, and more. Driving to his shop just north of Athens, off State Route 550, is a scenic drive, one that is quintessential to the Athens area. The small workshop reminds me of an old western store; welcoming porch, Blue Heeler, squeaky screen door, and hitching posts. Ken greets me with a cowboy handshake and a wrangler’s mustache - a suave mustache, the kind that says cowboy. Ken’s father, John Wayne Smith, was a saddle maker, too. 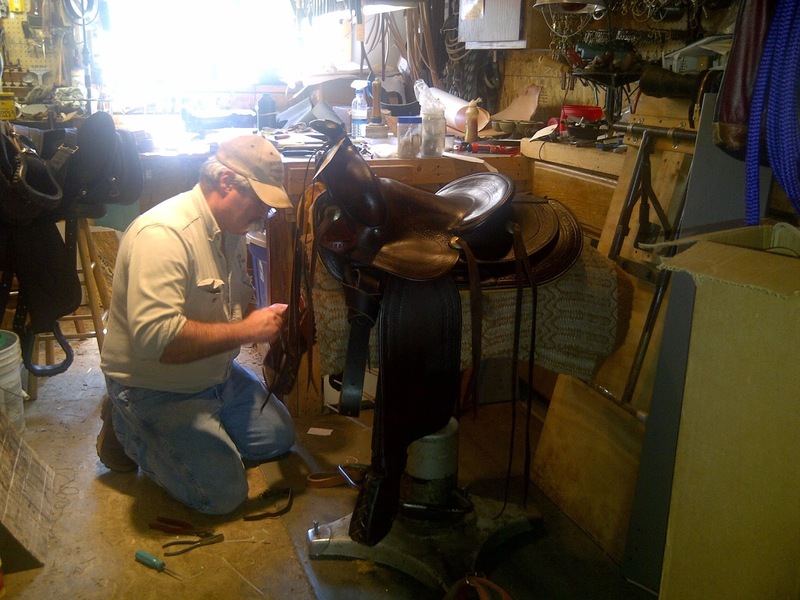 Born in Sandusky, Ohio, Ken created his first saddle at the age of ten. In 1981, the Smith family moved to Athens. In 1994, Ken’s dad passed away of cancer, leaving the legacy to Ken; tools, technique, sewing machines and memories. Now the proprietor of his own shop, Ken keeps busy refurbishing saddles, making saddles, belts, holsters, hitches, and almost anything leather. Entering the shop, the aroma of leather permits the space, an aesthetic almost as blessed as the smell of a horse. It’s a place where a cowgirl can hang out for an afternoon. But, I was there for business. My Tex Tan Hereford saddle was in need of repair and I was bringing it to Ken for a go-over; new strings, padding, and straps. Infatuated with the old tools, leather sundries, and horsey-tack hanging from the rafters, I decided to interview Ken about his life and all things cowboy. The morning sun beams into the shop as Ken and I begin our conversation. He ends most of his sentences with on to it, a true sign of a seasoned wrangler. KS: That was so far back, I can't remember. I grew up around horses. The family horse wasn't a horse, he was a Shetland pony, Redwood. Redwood was in his upper 20's when we rode him. I know he didn't make it to 30, but he was old. All of us kids learned to ride on him. My dad and brother always traded in horses. My dad raised Palominos. I think at one time we had 20 some odd head of horses. When we were kids we made our spending money on ponies. This was back in the 60's going into the 70's. There were tons of ponies around. Someone would get a pony that would get barn-sour, or learn bad habits. We would trade those, or tune up the pony, and then turn it around and resale it. We would get them for free up to $15, and we would sell them for $35 up to $50. We had several Palomino mares, but the ponies were mine and my brother’s business. My brother would get on a pony, it would buck him off, then we both get on it, and it bucked both of us off. We just kept ridden it until it quit bucking. GM: Sounds like a great childhood. 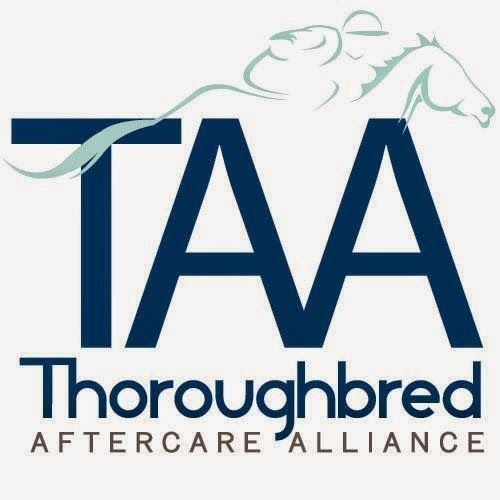 So, you began as a horse trainer? KS: I was more of the assistance and my brother was the trainer. The movie Ben Hur got us into trouble more than anything else. When you put a pony cart onto a pony, you can't slide sideways like they do in those chariot races. You can't use bicycle tires on a cart because they don't hold up at all. We had wrecks. One time we had two carts and two ponies and all of a sudden they all just rolled over. It was fun. GM: Living by a major amusement park like Cedar Point is every kid’s dream. How did that work out? KS: When we were kids, the main road going into Cedar Point was two lanes wide. It was a big long stretch of people waiting in line. We would go to the side of the traffic lanes and give pony rides. We could charge anything we wanted because the parents wanted the kids out of the car. It was bumper to bumper traffic. The kid would get out of the car, we'd lead them around a little bit, and then walk back to their car. It was kind of fun. Eventually, they widen the road and made it four lanes, now its seven lanes through there. The last year we lived there we spent at least 20 minutes trying to get into our driveway. GM: The move from Akron to Athens must have been a transition for you. Was your dad always into saddlery? KS: My dad had a dairy farm. He got out of it before I came along. My older brother David, who was involved in horses, and my dad started the saddle shop here in Athens. Then David and my brother-in-law Merrell bought a feed store in Montana. David was always swapping and trading saddles and tack. I spent most of my summers in Montana since '70. 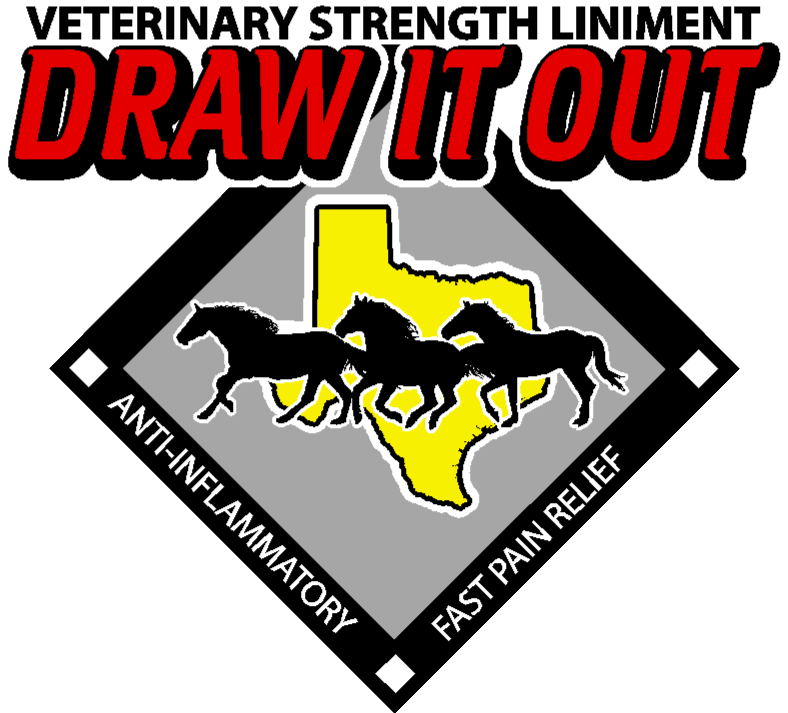 We would do saddle repairs through the feed store. David would buy all the saddles he could find, and we would sell them here in Athens. This is in the late '70's when they came out with the polytrees, the light saddle trees. Everyone wanted the lightweight saddles; they didn't want grandpa’s old heavy hard seat roping saddle. That's what our outfit was after. GM: And then you finally moved to Montana? KS: After I graduated from Alexander High School in '79, I moved to Montana. One of my sisters lived in Missoula. She said they had an extra room if I wanted to come out. I loaded up and moved out there. I liked it out there. When I brought my wife to Montana, we ended up in Missoula first. We had an agreement to stay there for one year. I took a town job in Missoula. We lived outside of Drummond with is about an hour away, just the right distance, and then drove it every day. If my wife decided we could live out there, then I would have set up a saddle shop. GM: Saddles, horses, Blue Healers. How did you get roped into becoming a cowboy? KS: When I went out to Montana to live with my sister, I began working as a logger for the National Forest Service. The first true ranch I had was a job in Wyoming. I was working for the Grand Teton Lodge Company. I had worked in Grand Teton National Park for YCC. President Jimmy Carter brought the YCC back. It was labor positions for the park service. It was a nice area; the Coulter Bay area. The Grand Teton Lodge is one of the oldest ranches in the area. It’s where the Oregon Trail cuts off. It's really not dessert, there's good feed for the livestock, but at that time there was no water. It was a three-day haul without water. If you go out there today, you can still see where the wildfires killed the sage. 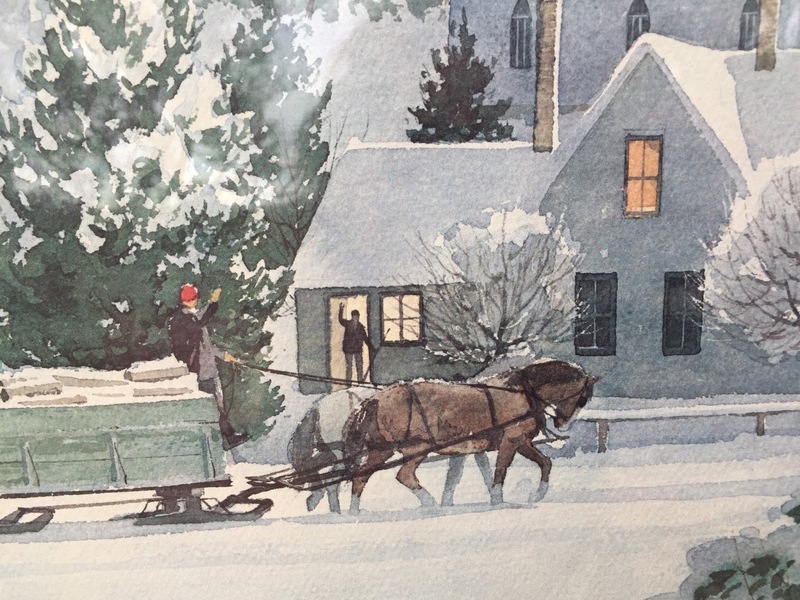 GM: In the wintertime you worked feeding stock, in the summertime you were a wrangler. What was it like? KS: We would run the ranch from the 3rd week of May through the 2nd week of September. That’s when elk season comes in, the end of November. In December I worked at the Matador Ranch in Dillion feeding stock over the winter. They had close to 10,000 head of cattle. There were three of us on a crew. The supervisor worked me into the dirt. The supervisor, who was in his 60's, would drive the tractor, load hay on the tractors. It was an all day job. Sometimes, I got to feed with teams of horses with hay sleds vs. a tractor and trailer. The cattle we were feeding were a mix of pure longhorns, Hereford, Angus or Black Baldies. You had to go out on horseback, if you went on foot, the bulls would nab you. If I could have stayed with the cows, I would have. In the summertime, working for the Grand Teton Lodge company, my main job was to take people out on the trails. They would show up, we would put them on a horse, take them out, come back in, water the horses, and then take the next load out. We rotated horses. We had a breakfast ride that went out in the morning which was a two hour ride; three hour rides and four hour rides in the afternoon. The work was summer seasonal. You have to be highly portable. I could fit everything I own in the back of a truck. A lot of the guys I worked with were college kids working the summer. It’s a fun job. We made a lot of trails. It was a funny deal; it wasn't the only deal, on to it. There was a Washington outfit that made trails, too. But, I remember the trail grader we used. When I went out to Montana last time, I went up to Lincoln and asked them if they were using it. Not only were they not using it, it was no longer there. They didn't know where it was. The graters were homemade using a hillside plow and a harness. I can buy a hillside plow; they're all over back here in Ohio. I would sell plows to the forest service guys that were in the Lochsa District and the other wilderness areas for building a plow. Two passes with a plow, two passes with a grader, and you have a trail. You can't buy the grader. The graders were made for the forest service back in 30's or 20's. They quit making them. If I could come up with a grader, I could go back out there and contract to make trails. That would be an outstanding job. I would do that in a heartbeat. GM: Wow! 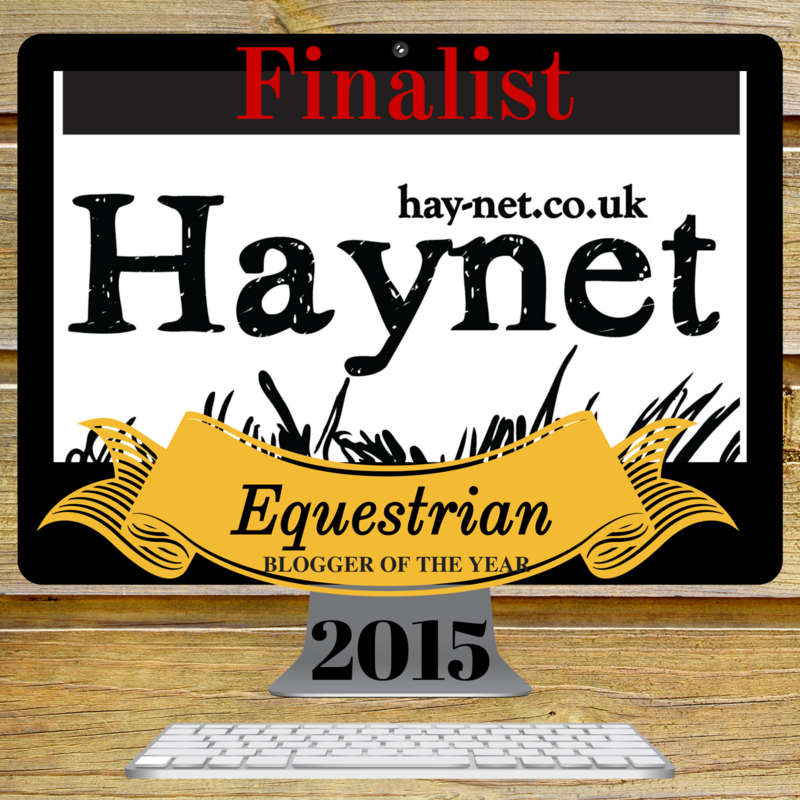 A great adventure for a young horseman. Any memories that stand out during your time at the ranch? KS: There were many memorable moments. The one thing that I had wished I had done was get a world map. There are not many countries that I haven't met. There was always fun stuff going on. Even though there were forest fires, we had to take rides out. We were on standby evacuation for two weeks. Besides the fires breaking out, we were cooling off, getting some rain. I was the head wrangler, in charge of horseback riding. One year a lady from Scarsdale New York volunteered to work with the forest service. It was really cool to be green back then. She knew people who had volunteered and went out to save the environment, and that was what she was going to do. She didn't stay with us for very long. We worked 10 day hitches; 10 days on, 4 days off. That was ruining her social life. She was a good kid, but it was like going to the back side of the moon for her I guess. She made a comment one night that I’ll never forget. We weren't tired yet and we were just sitting around the fire talking. She was looking around and said, “Oh, this is so pretty.” She wasn't used to seeing the stars at night because of the pollution. Out west the stars are so bright that you can see to walk by the starlight, not even a full moon. She said, “It’s just so quiet you can hear the stars.” At first I thought it was a funny statement, but then, the more I thought about it, it was a profound statement. That’s one of my benchmarks. I want to be where it's so quiet I can hear the stars. The celestial sound; no sound. You can hear the fire pop or something, but you can’t hear anything else. GM: What horse did you ride during that time? KS: The last year I worked for the Tetons, Tulsa was my horse. He was a stocky mountain horse, a horse that was good horse. I had him in the summer, and a hunting camp had him in the winter. He liked to elk hunt. All the wranglers leased their horse. GM: Your hitching work is beautiful. How and when did you learn to hitch? KS: Hitching is a lost art that is being revived. When I was learning how to hitch, there was nothing out there. I was working at the Grand Teton Lodge Company when a friend of mine, Paul, was working for the forest service. Paul was coming down to the corral at night and getting horse hair. I caught him one night and said, “What are you doing with that?” He said he was braiding. Paul had a reprint of a book that was printed back in the 30's. There were a couple of pages in it that pertained to hitching. 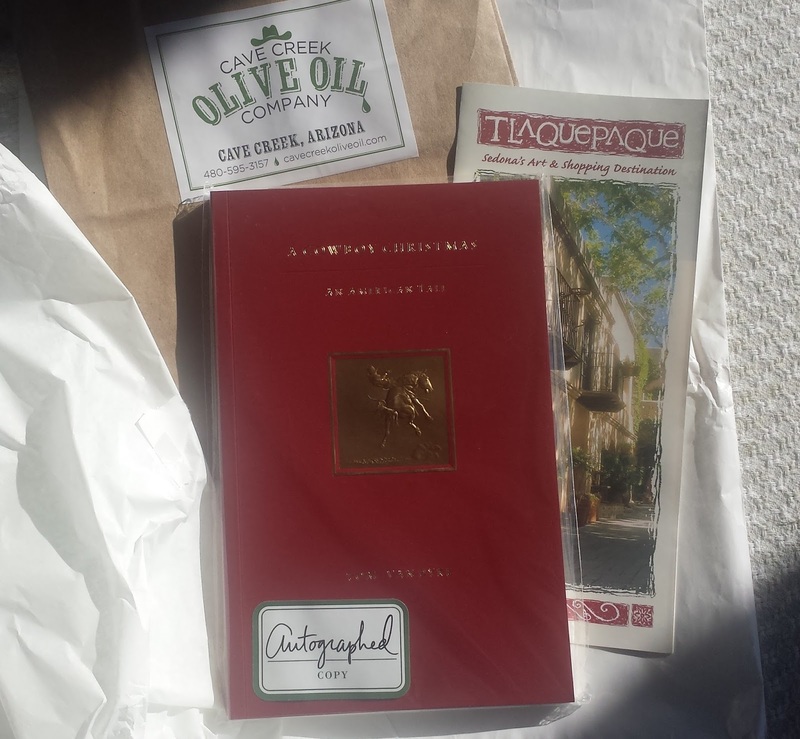 We got to looking at it and I told him I would supply the horse hair if he supplied the book and we'll both learn. I was telling everybody that I taught Paul and Paul taught me. His style is different than mine. I do a lot of keepsake hitches for horses that have died or moved on. You don't have to have enough for horsehair for the entire hitch; I can buy hair to add to it. If you had a favorite horse or a favorite horse, and you want something made, you provide the hair, and I can make it. If you want a diamond pattern, each diamond takes about an hour and half to make, then each button takes about an hour. GM: The tooling on your saddles is stunning. Do you create your own tooling patterns? KS: A hand-built saddle can have as much as 40 to 50 hours’ worth of tooling. I have my own tooling pattern. I don’t' copy from anyone, but I will adapt other people's work. I change it up to what I like, something that is unique. It’s a trademark for the creator. Pretty much everyone that has done tooling has adapted a style. When you go to a saddle making school, they always suggest that you apprentice out/work for at least 3 other saddle makers before you start on your own. My dad always said when you see someone doing what you like, watch what they are doing because you can always learn something. There’s a way you can incorporate other's work to come up with your own. GM: What are your views on saddle making and the art of saddlery? 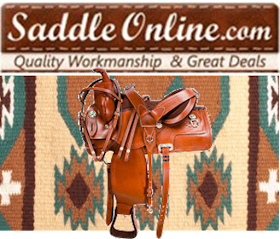 KS: Saddle making is a reviving art. There used to be a core of saddle makers out there, but now you are starting to see people who know the difference between production saddles and hand built saddles. For the cost of a high-end production saddle, you can get one built. The high-end parade saddles, the production saddles, are pretty much junk for $5,000 to $6,000. The high-end saddles I have seen do not have real silver. The sheepskin wasn't even sewn on to it; it was glued on to it. Riders ride the saddle around a ring, come out, and take it off the horse. For what you are paying for one of those, you can have one built and have a real saddle. Different parts of leather have different uses. Ragging pieces are flexible, etc. In a small shop, like mine, one person makes a saddle. I use nails and screws vs. staples. When I do repairs, I have to match each piece. There are tricks to it. GM: Do you see yourself returning to Montana in the future? KS: Where I lived out west, my nearest neighbor was about a mile away. I couldn't see his place. I could see his security light at night. That’s close enough for me. Here, in Ohio, we are a little closer. I often tell people I want to live out far enough that I can go out on my back porch and take a leak and not have to worry about it. When my wife’s dad passed away, he left her this place. So we settled in Athens. When my youngest kid graduates from college and he walks across that stage to get his diploma you are going to hear a pop in the background. That pop is filling the vacuum from where I was sitting - I am out of here. GM: Do you miss Montana? KS: Only twice a day now. 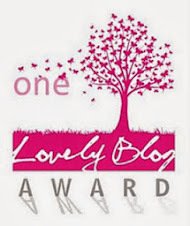 Gina McKnight is an author and freelance writer from Ohio USA. 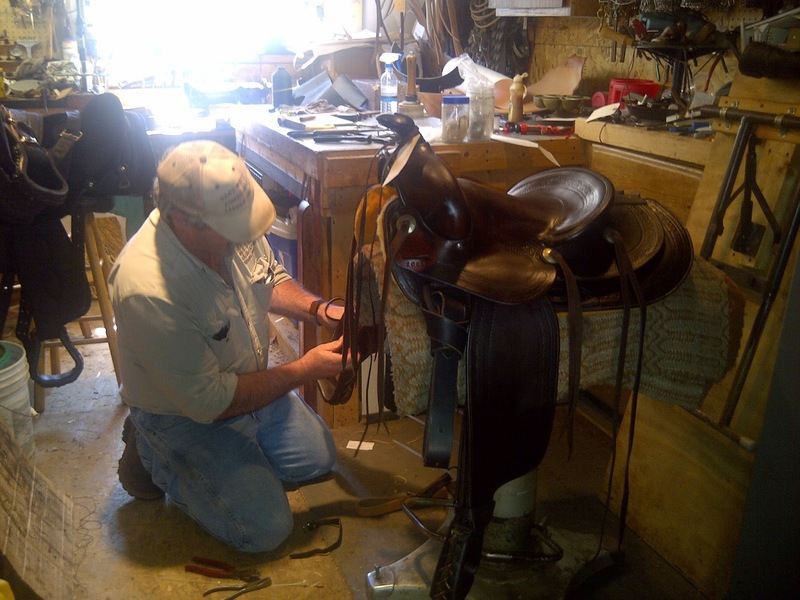 Ken Smith in his shop putting the finishing touches on my Tex Tan Hereford Saddle. Great for Teens! A must for Adults! Fred and Sarah Davis, a grieving couple at 333 Oak Lane, in the small town of Bent Spur, Texas, have chosen to shut themselves off from the rest of the world. One can only wonder how their strategy will fare in the face of four innocent souls who offer unconditional love. 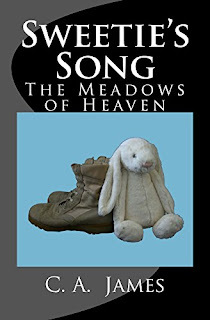 Sweetie’s Song: The Meadows of Heaven is a book that will enchant its readers, whether children or adults. It is a heartwarming, family friendly story that has an underlying message that will resonant with even the most jaundiced and world-weary among us. Some readers have called it a "children's book for adults, a simple, beautifully told story that has meaning on more than one level and resists easy interpretation." 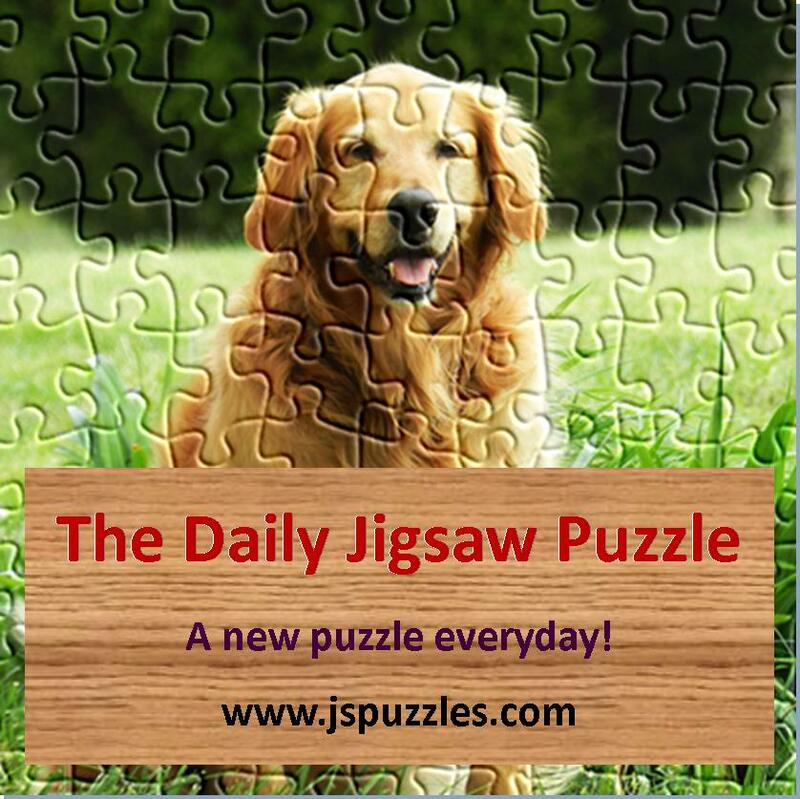 Thanks for visiting my page. I have three writing careers at the moment – one as a mystery novel writer, one as a writer of inspirational novels, and one as the author of nonfiction books. In my rapidly diminishing spare time; I teach, research, and apply the methods of artificial intelligence, intelligent decision systems, and management science to real-world problems. Some of the awards for my writing include: The First Hartford Prize (presented by the National Safety Council), the John K Walker, Jr. Award (from the Military Operations Research Society), and an Outdoor Writers Award.